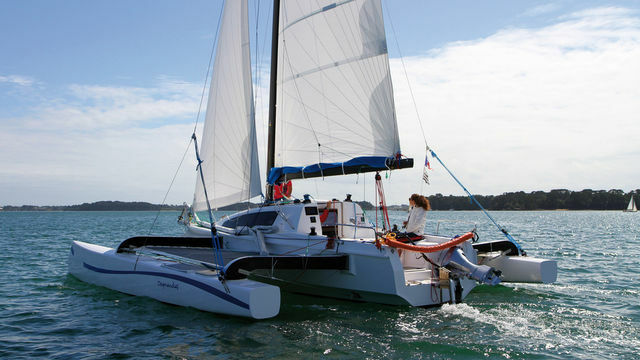 When we are interested in a multihull, we first look at the hulls, the bridgedeck, the cabins or even the stowage capacity… And the standing rigging? It’s nevertheless what holds the mast up, isn’t it? We’re going to take a look at the mast, the boom and their peripherals! The most high-performance boats are even equipped with a pivoting rig. We won’t mention wing masts here, but they do exist! The fact remains that the standing rigging, as static (or not) as it is, ages: remember to check it regularly! 1 – Spreaders: better twice than once! The immobilization of the profile is in principle better guaranteed with two (or even three) levels of spreaders and jumpers than just one. Note the two cap shrouds, well-spaced thanks to the platform’s beam. On the new models with rigs positioned further aft, Lagoon has offered a hybrid rig with just one level of spreaders and no jumper, but an extra pair of lowers and two cables dedicated to immobilizing the mast attached at different heights on the profile. A simpler and less expensive arrangement, validated on the smallest models, but not used on the 50. 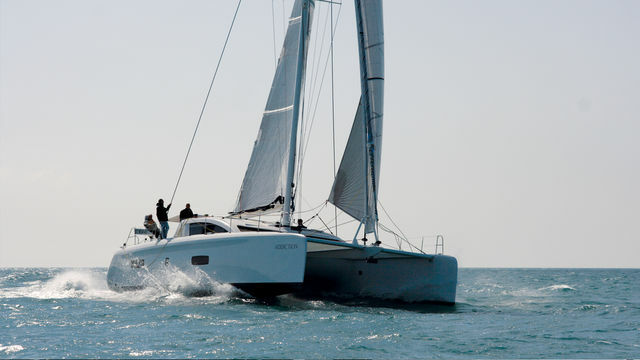 On a trimaran with folding arms, classic rigging with chainplates on the central hull is doubled by two adjustable lower shrouds. 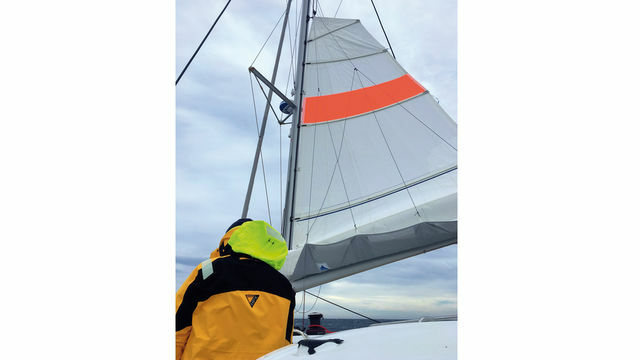 Most mast manufacturers recommend, on immobilized profiles, that you bend the mast by a half profile – 15 cm for a mast whose fore and aft section measures 30 cm. 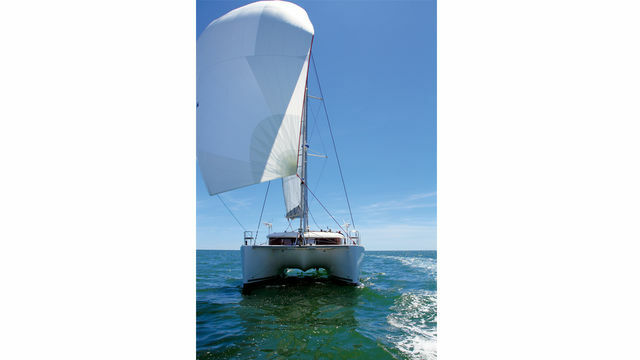 This bend restrains the mast and stops any tendency to move forward. 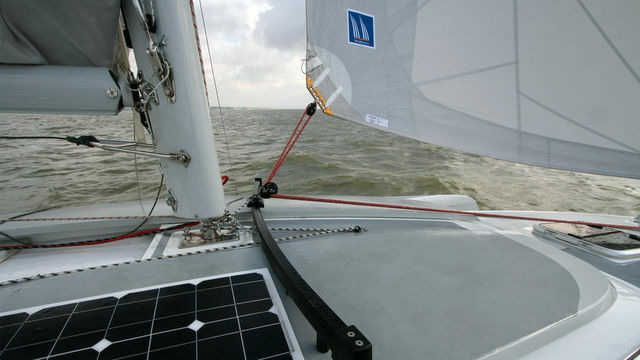 Competition-oriented boats are sometimes equipped with a rotating mast. The self-supporting tube is positioned on a ball-and-socket joint. 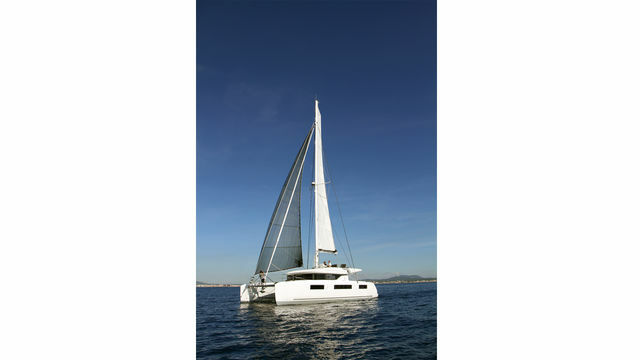 It follows the angle of the mainsail, for better aerodynamic efficiency. Certain profiles can be controlled by a system of lines via a mast spanner, fixed to the base of the mast. 6 – Carbon on all levels!